WOW! 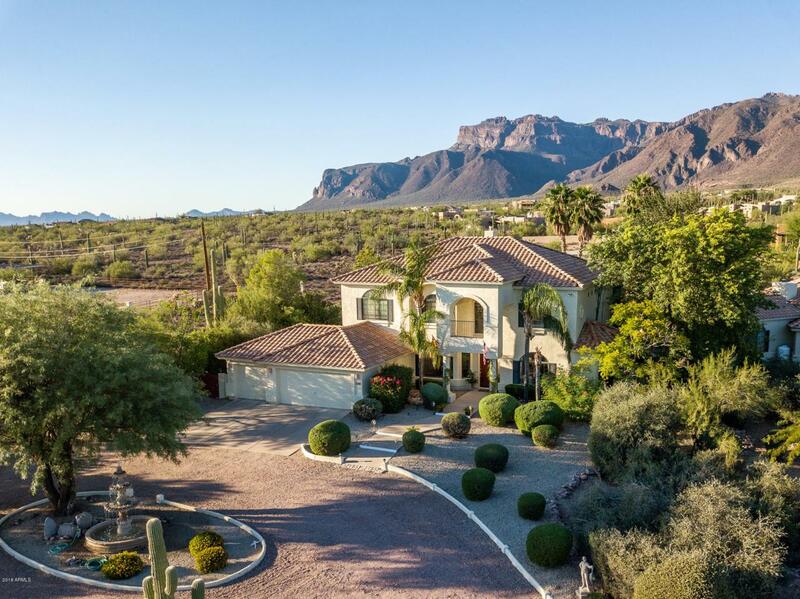 CUSTOM HOME & GUEST HOUSE under $209 per sq ft on rare, PRIVATE 2.6 ACRE LOT at the BASE of SUPERSTITION MOUNTAIN with JAW DROPPING VIEWS (and fully fenced too)! 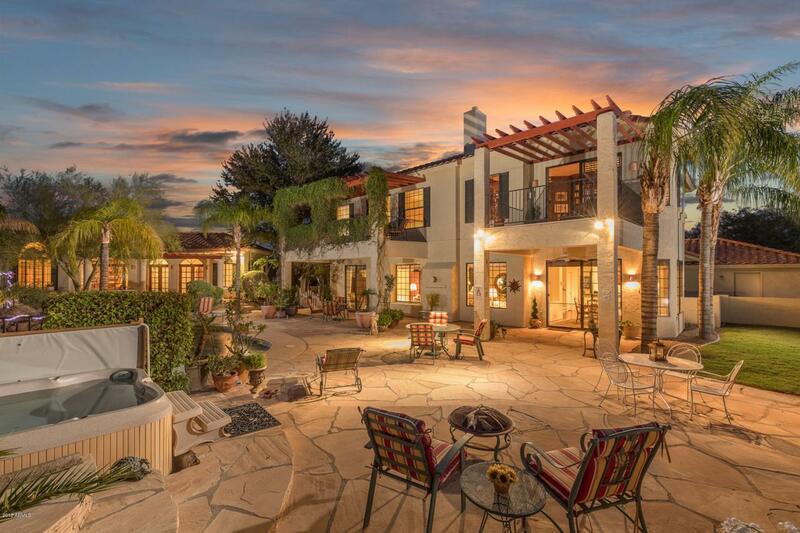 You'll love this ***BEAUTIFUL 3653 sq ft Mediterranean-style custom home AND ***FABULOUS 1139 sq ft GUEST HOUSE with octagon shaped great room with beamed ceiling! 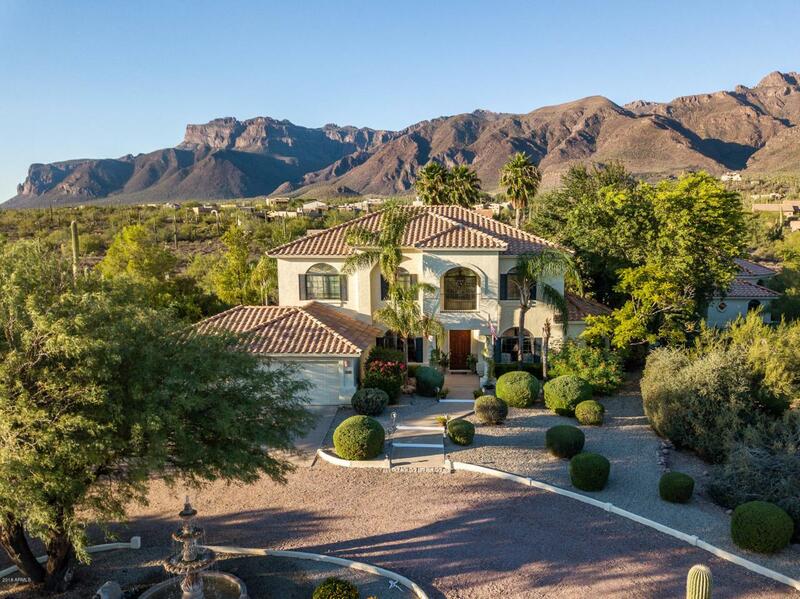 Relax & enjoy MATURE LANDSCAPING & TRANQUIL SETTING in this diverse, high-end custom home area of Gold Canyon! ***Furniture, decor and adjacent 2.2 acre lot are also available separately! 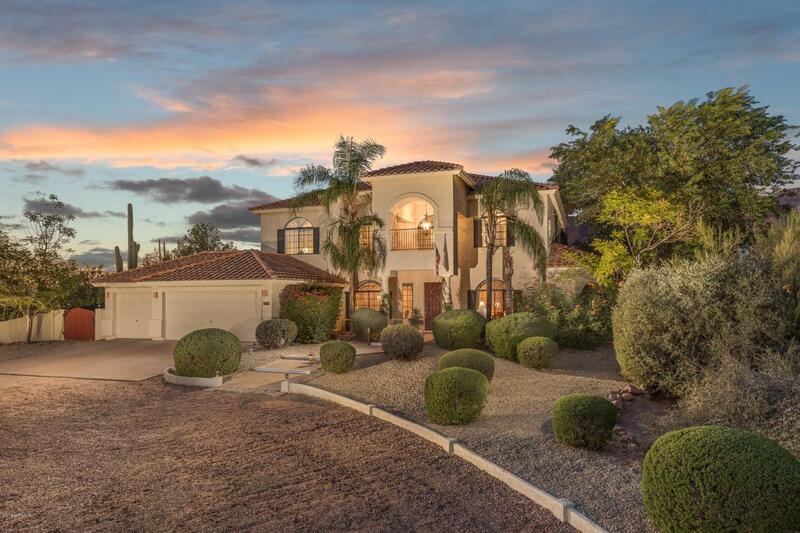 ***NO HOA, ***RV PARKING OK, Electronic gated entry, heated pool & spa, huge kiva style fireplace, ***NEW ROOF 2015, ***NEW HVAC 2012, gorgeous GRANITE ***EXQUISITE LIBRARY, cozy loft area, first floor bedroom or den and so much more! Conveniently located near..